oven roasted until caramelized and sweet, they are perfect for salads and sandwiches. 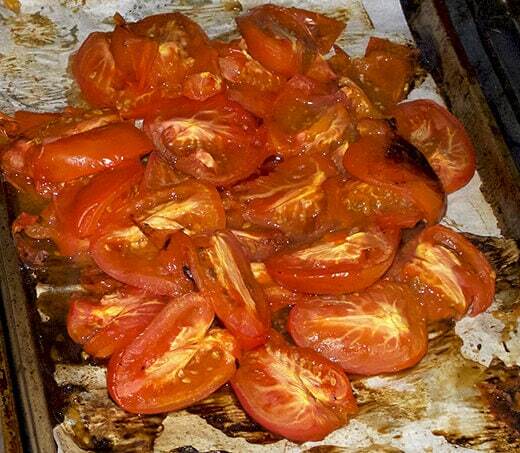 Confit tomatoes are slow oven roasted tomatoes with a little garlic, salt and olive oil. What happens to tomatoes once they’ve been roasting for a long time is magical; they become sweet and deeply concentrated in flavor. I can eat these straight out of the oven over a toasted baguette with a touch of butter, sprinkled with some freshly grated parmesan. 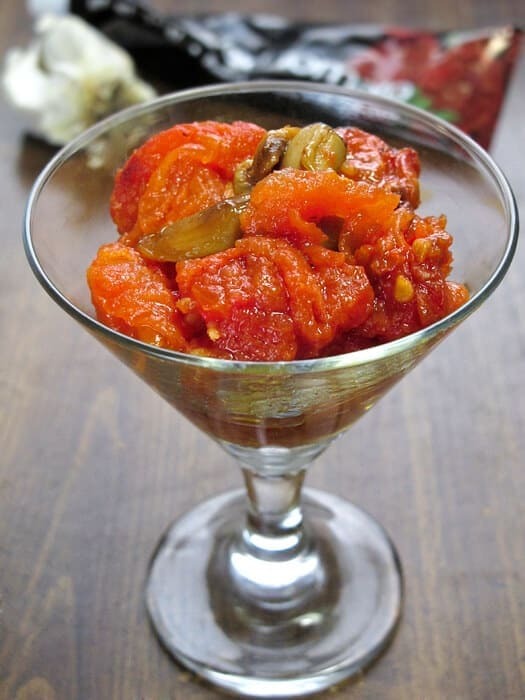 The roasted garlic is caramelized and adds smokiness the confit tomatoes. 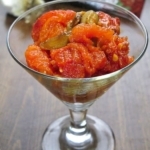 With this simple tomato recipe you can make an unforgettable spaghetti sauce (yummy, sweetness! Nothing beats oven roasted tomatoes to make a spaghetti sauce, trust me on that), serve them over a salad, make a soup or puree, served them with some chicken, or infuse your next vegetable sandwich with sweetness and acidity. Not only is it ridiculously easy to make, it’s super healthy too: Packed with lycopene (the longer you cook tomatoes, the more lycopene they produce), they fight cancer, heart diseases, and protect against sun damage. These oven roasted tomatoes keep in the fridge for about a week. The tomatoes should be slightly charred and rich in color. Preheat oven to 300 Fº. Bring a medium size pot of water to boil. Using a knife, cut a small X under each tomato and boil in water for 10-20 seconds, until skin breaks a little and looks easy to peel off. Plunge in cold water for a second. Peel off the skin, cut each tomato into quarters and take out the seeds and core (it doesn’t have to be perfect, take off as much as you can). Cover a sheet tray with parchment paper (aluminum is also fine), add tomatoes and garlic. Pour the olive oil over them, sprinkle a little coarse salt and toss with your hands. Cook for about 2 hours, turning them over every half an hour to prevent them from burning. The tomatoes are ready when they’re shriveled and very slightly charred.